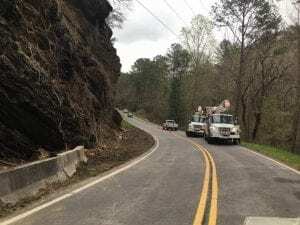 JASPER, Ga. – The City of Jasper has officially reopened Cove Road after rock slides have had it closed for nearly a month. However, with yesterday’s reopening of the road, there is a catch. Today will see only one lane of traffic available to citizens as clearing, repairs, and stabilization of the area begins in earnest. 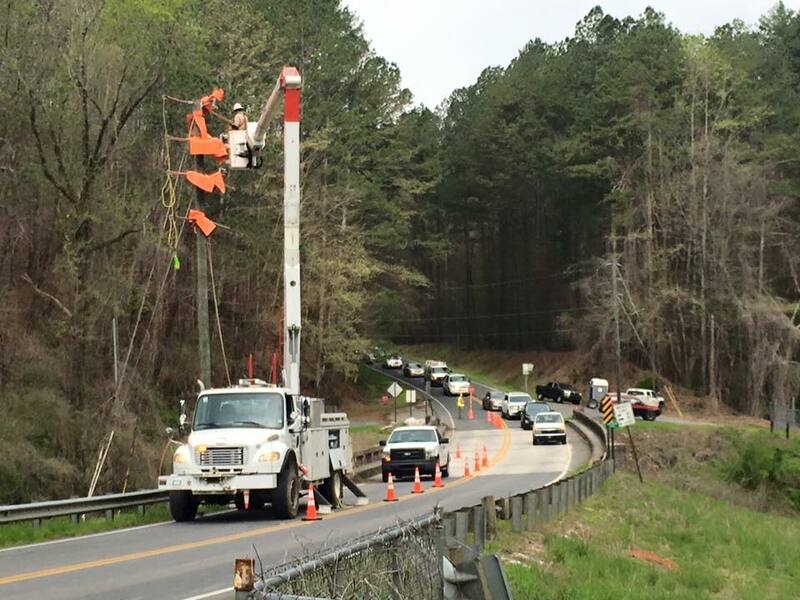 Today, Georgia Power will be replacing power lines on Cove road in the S curves, so please watch for these workers. In the coming months, citizens will continue seeing the road open and close to lanes of traffic as the city continues with the plans it set into motion in last weeks monthly meeting. The city is calling for caution today as you travel the road, not just for the single lane of traffic, but for the workers and linemen who are continually moving along the road today.